Organic Wines For Your Health! 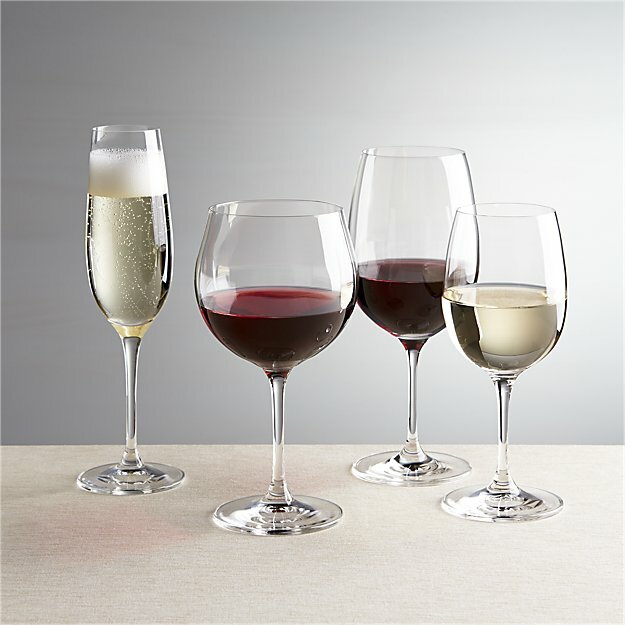 CherryGal.com is excited to be an Affiliate of The Organic Wine Company, which offers a range of excellent sulfite-free wines and champagnes. All of their wines are vegan, gluten-free and non-GMO and are made with organic grapes. Science and Medicine increasingly agree about the benefits of a glass or two of wine a day to promote heart, brain and immune function as well as enhancing “joie de vivre.” The wines offered by The Organic Wine Company are made with certified organic grapes. Delightful to drink, the highest quality yet reasonably priced and can be enjoyed without an adverse reaction by most chemically sensitive people. The Organic Wine Company is a family company started by Veronique Raskin in San Francisco thirty years ago. Véronique is a French native, born and raised by generations of physicians and land-owners in the Languedoc region in southern France. Veronique was always passionate about the study and practice of health and well- being. When her 75-year-old grandfather, Professor of Medicine Pierre Fabre, started pioneering organic viticulture in the South of France, she decided to do the same here in the United States. So, in addition to growing your own organic garden with CherryGal Heirloom Organic Seeds and Plants, after a day in the garden you can now sit back and relax with a glass of exquisite organic wine! No membership required. You can buy what you want, when you want. And they offer Gift Certificates. So visit The Organic Wine Company today to get started! 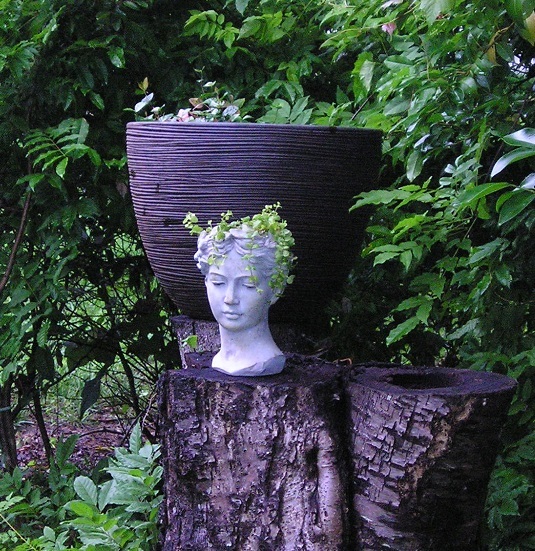 An old cherry tree that long ago succumbed and was cut down, provided a perfect “stand” for a large pot and a beautiful Goddess Head Planter. I will soon be receiving my 2018 supply of these weatherproof concrete beauties in two sizes: Large 10″ and Small 8.5″ . Both make wonderful additions to your garden or gifts. But don’t stop there. I have an old pole (not sure what it was for originally but it looks like it might have been a utility pole) in my garden in a dark spot where poison ivy and wisteria compete. 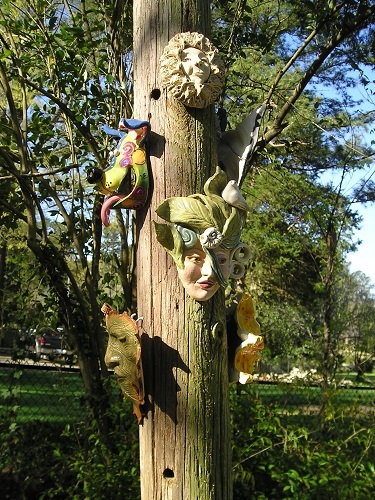 So I decided to turn it into a Totem Pole, collecting various ceramic face masks that appealed to me. 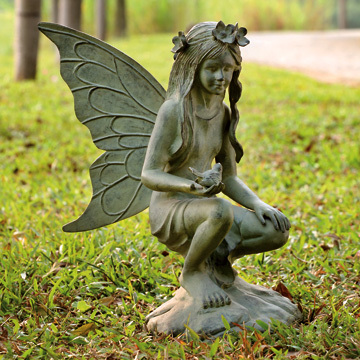 One of my favorite garden decoratives is my Garden Fairy statue. I have fun with her … putting a scarf around her when its cold, for example. I have chickens. I love my chickens. And they boss me around. So this wonderful small plaque from Carruth Studio seems to capture our relationship perfectly. 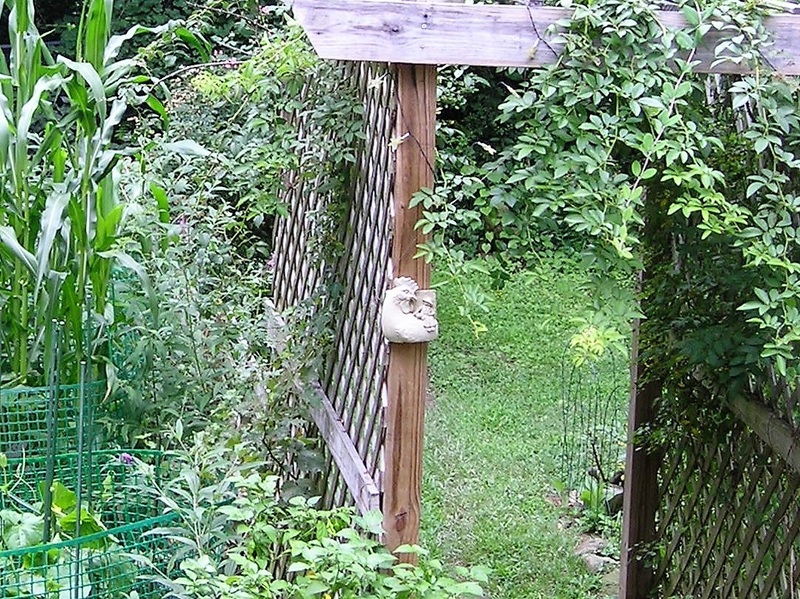 I placed it on the arbor that borders my girls’ compound. I have other decorative pieces placed throughout my garden. 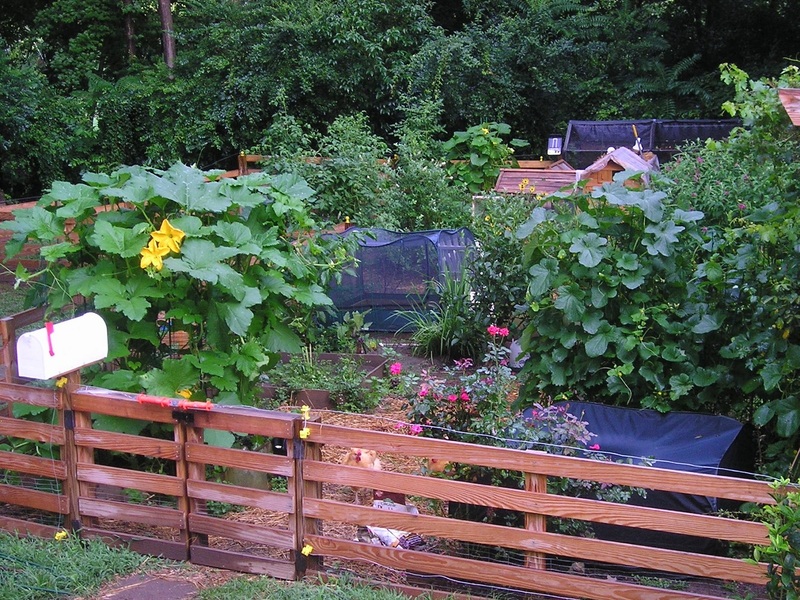 My chicken compound and arbor offer some structure to what can sometimes become an unruly wild mixture of flowers, herbs and vegetables. A memorial plaque for my dear departed yellow fellow Rusty, a mailbox that holds my hand tools, a bird bath. 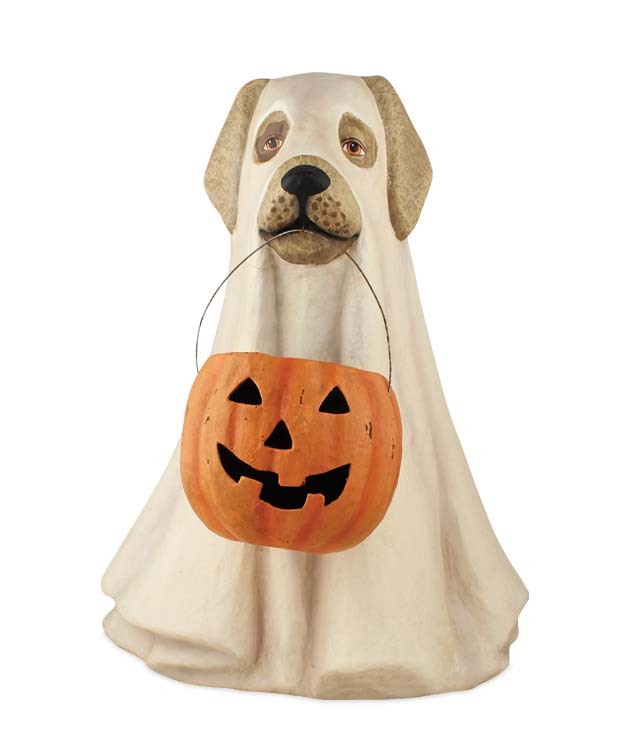 The trick is not to “junk up” your garden with such things, but also to have fun with them. 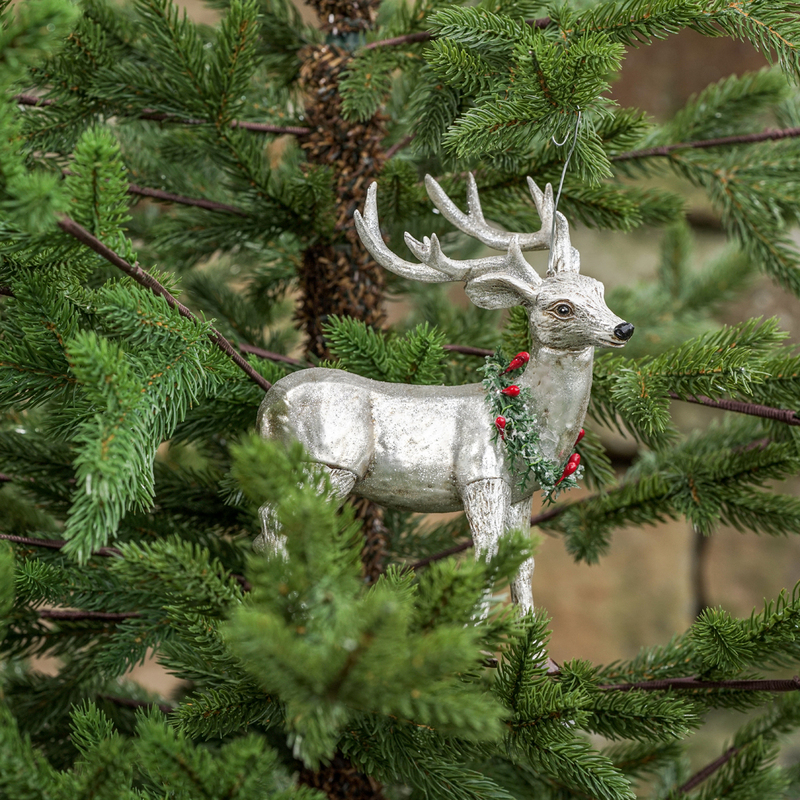 Let me know how YOU decorate your garden! Purple’s back baby! I have always loved the color but shied away from it until I turned 60. Then I figured, I’m old enough to wear purple now ha ha! Well, a shade of purple — Ultra Violet to be exact, which is a purple highlighter shade — has just been named Color Of The Year by The Pantone Color Institute, the trendsetter for fashion and style in clothing, homes and even food! Several weeks ago I wore a shade of purple jacket to church and my priest remarked it was “the royal color.” I hadn’t thought of it that way, but politely demonstrated my “royal wave.” To me, the color — in all its shades and tones — represented a flamboyance. Which is why, in my long years in corporate fashion hell, I never wore it. But now I have some version of it in almost half of my closet, including my underwear drawer. A wonderful article in today’s New York Times lays out the history and composition of the color, from ancient times to today. I recommend it – a quick read which will enrich your understanding of purple and all its cousins. 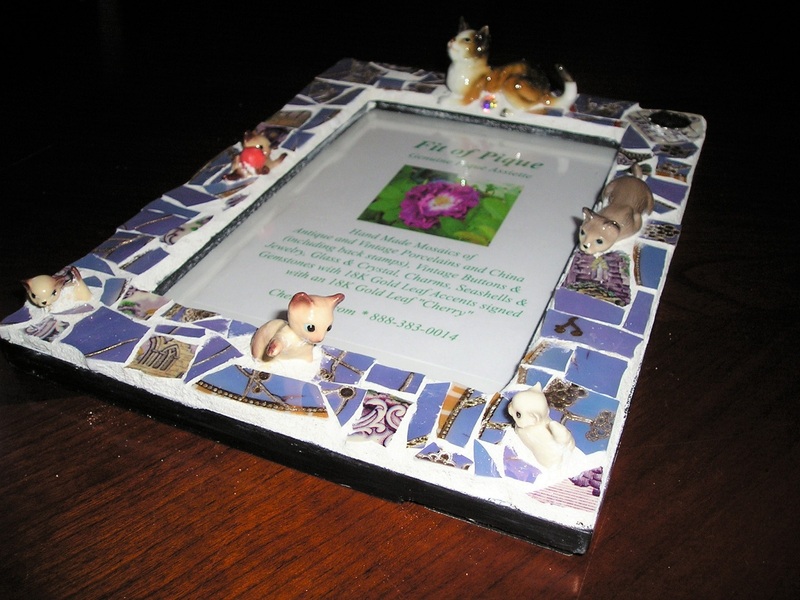 If you are interested, the Fit Of Pique frame illustrated here, Six Sweet Kitties, utilizes two shades: Lavender Lustre from vintage gilded Noritake Made in Japan porcelain, and vintage Purple Transferware by Maastricht, a Dutch china company. One of my favorites! Is it “Art” or is it “Craft” and what defines each? Remember the classes we took in high school decades ago? I do. “Arts & Crafts” tended to attract the girls, while “Shop” attracted the boys, though some of the items made in Shop would have qualified, in my opinion as art, and some of the schlock produced in art class was, well, schlock. I have seen a lot of crafts which were just that — functional items made by a process specific, usually in wood, ceramics or glass. But just as Tiffany made craft art, and Warhol made the ordinary extraordinary, the lines are not straight and true. But it is not a comfortable tag for me. It feels rather pretentious. “Art” to me is an oil painting, such as my mother used to create, requiring extraordinary skill as well as expression that is unique. 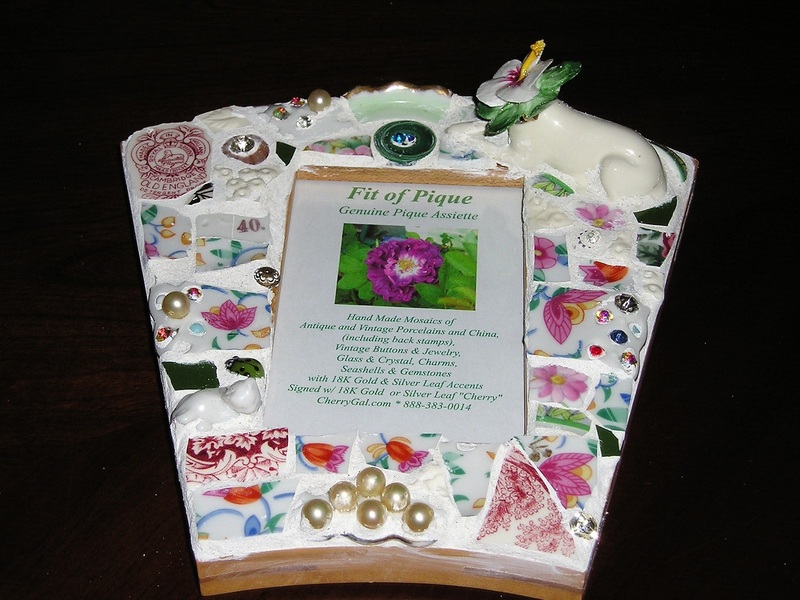 My Fit Of Pique pieces are functional — a photo frame, box, mirror — which might assign them to the craft category. Yet to me, they are more. Much more. In fact, though I sell them, parting with each is emotional for me. There are certainly some who feel it cannot be art unless the maker is starving or coughing up a little blood. And certainly how others perceive an item or its maker is an important gauge. I remember when I painted my first oil painting — a still life of an apple and knife on a soft cloth. I entered it in my 7th grade’s “Art Contest” only to have the teacher eliminate it because it was, in her opinion, so obviously a Paint-By-Numbers production which was prohibited (it was not). When I came home in tears, my mother let that teacher have it! But the impact on me was severe. That “art” teacher had quelled the spirit. I didn’t attempt “art” again for years, until a drawing class at the Corcoran drew me out once again in my twenties. I would prefer to think of my Fit Of Pique pieces using the Swedish designation of “ArtCraft,” with elements of both in each piece. Some are certainly unique and artistic, such as the Flower Dog frame shown above. 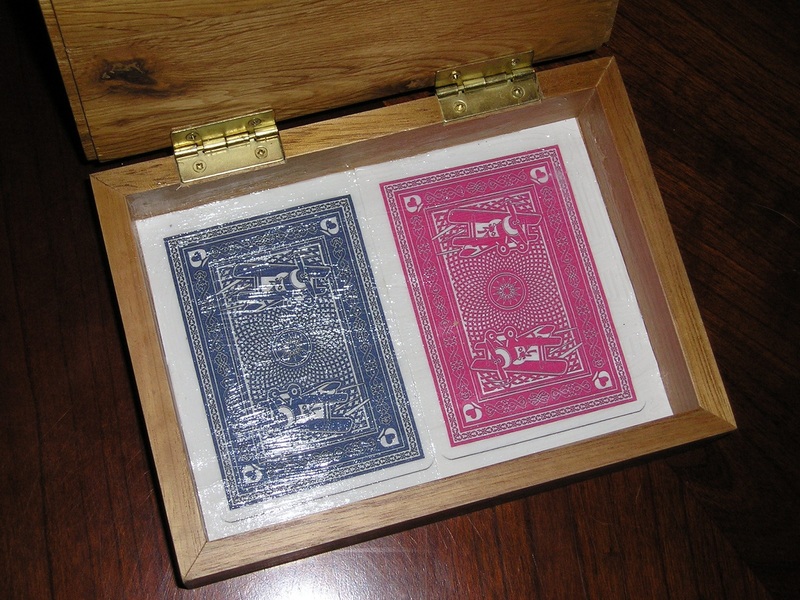 Others are more craft than art, but still beautiful, such as the Playing Cards box shown below. So, does that make me an “Artist” or a “Craftsman” or an “ArtCraftsGal” — I vote for the latter. But let me know what YOU think. 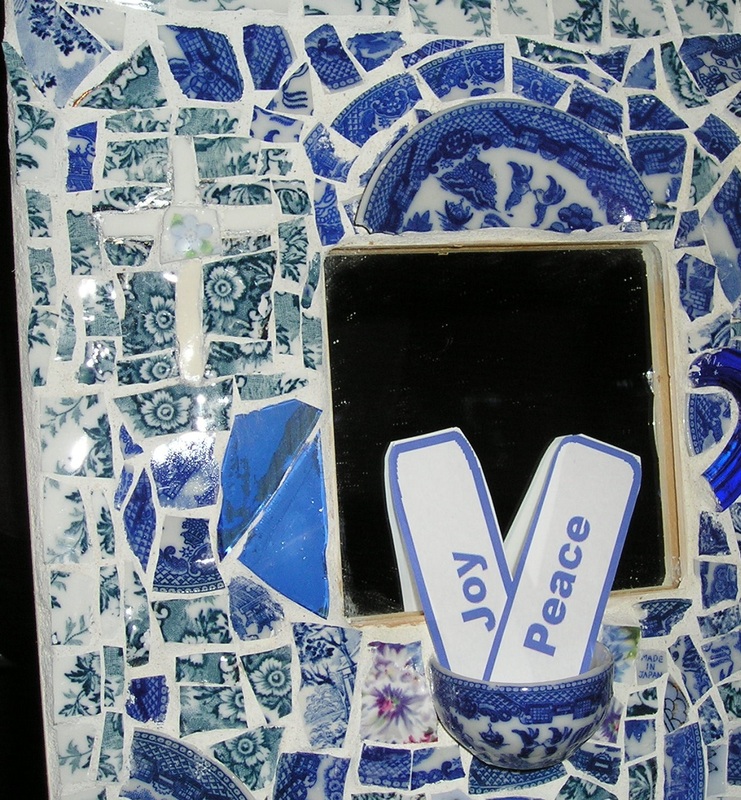 And please visit my Fit Of Pique section at www.CherryGal.com to see all my artcraft mosaics. 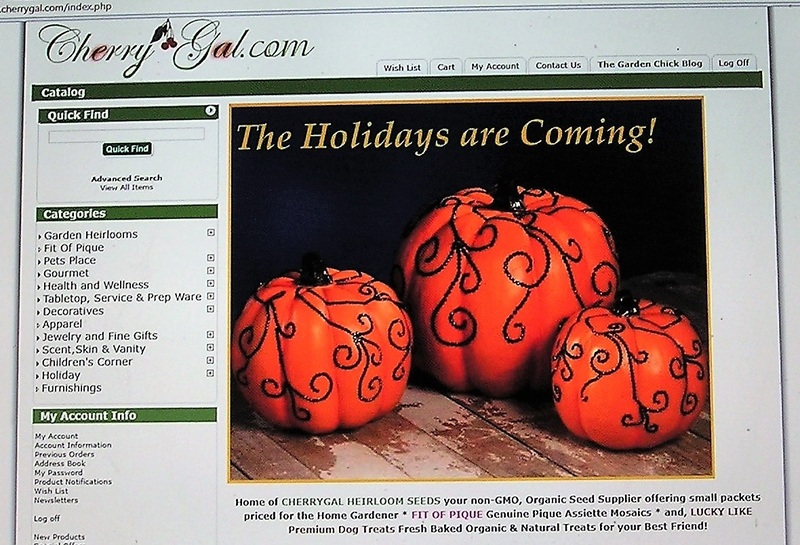 The “new” CherryGal.com is here! Wonderful day with my new booth at the Warrenton Harvest Festival! 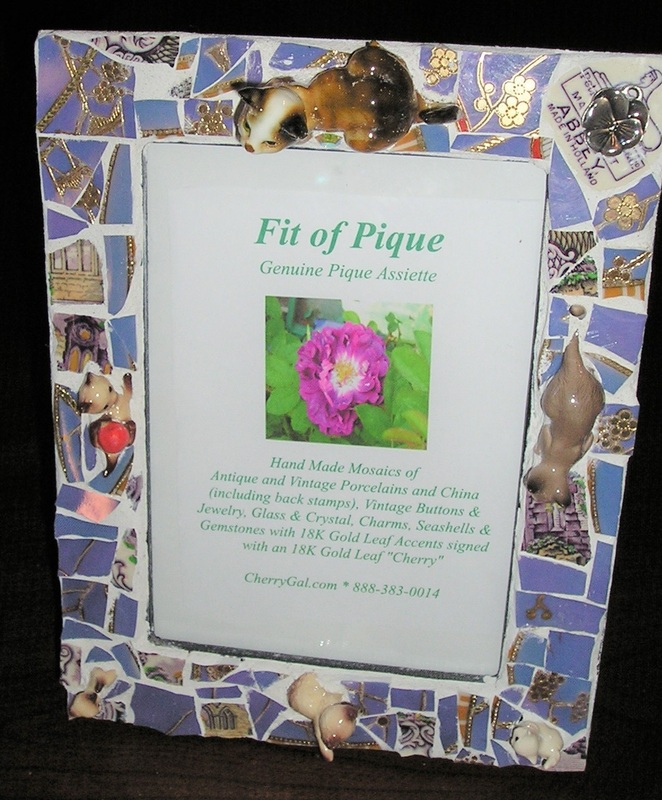 Fit of Pique Mosaics featured! So happy with my new larger booth! 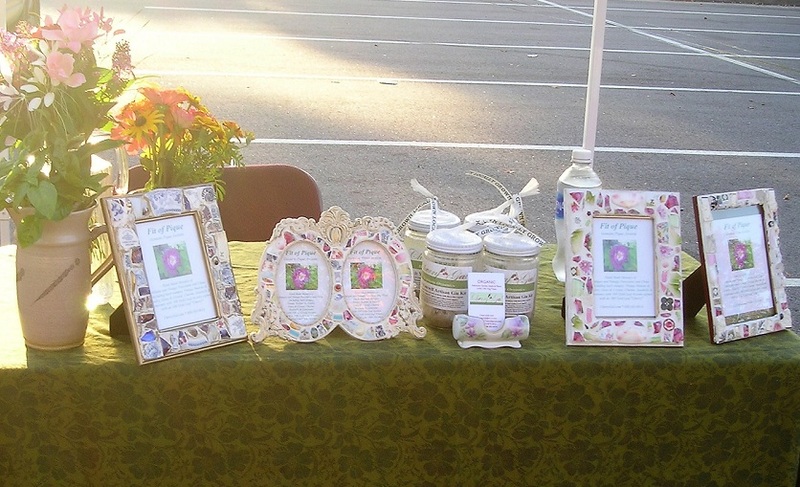 I had a wonderful time with CherryGal‘s new larger white booth at the Warrenton Harvest Festival! 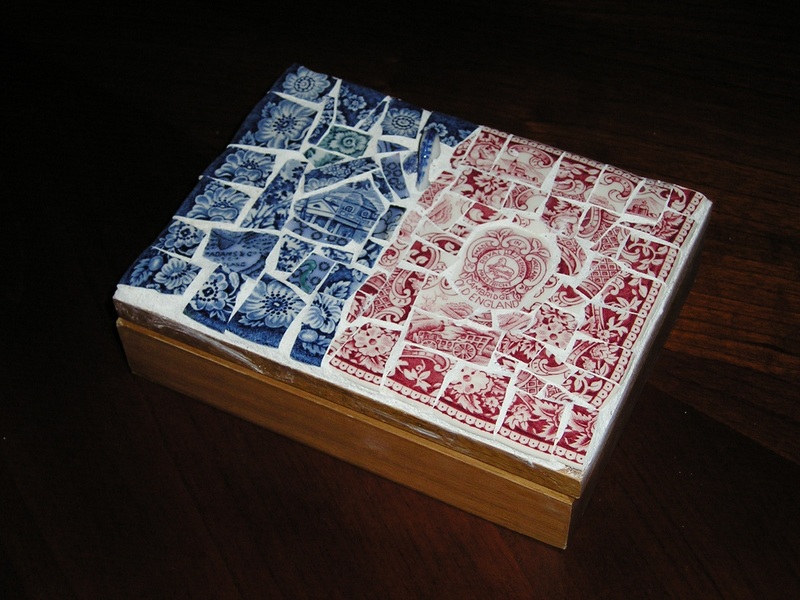 Great feedback and sales of my new Fit of Pique genuine pique assiette mosaics line which were featured. 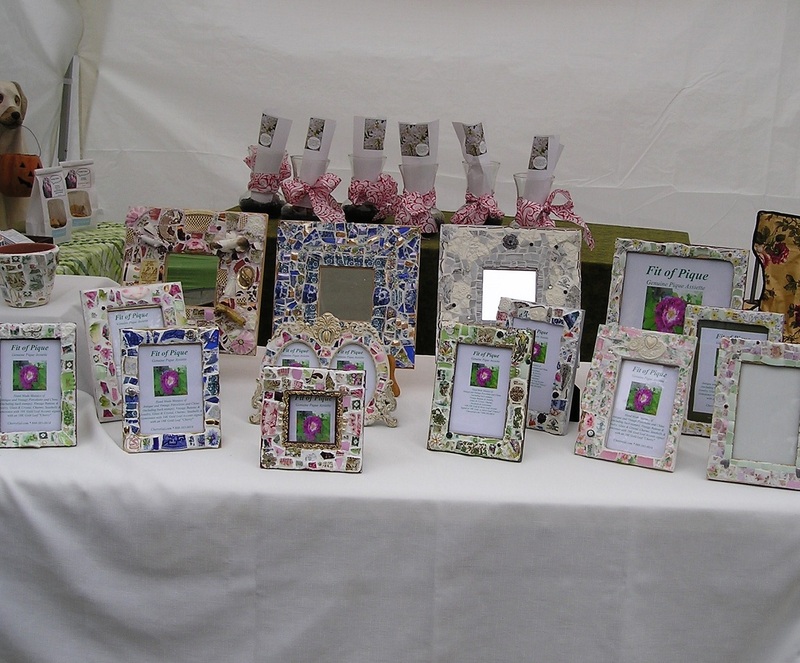 I had frames, mirrors, boxes and garden pots. We also had Lucky Like organic and all natural premium biscuits, CherryGal’s Organic Do It Yourself Gin Kits and gift vases of Paperwhite Narcissus. I made new friends and new customers! So I will continue to produce my Fit Of Pique and other special CherryGal and Lucky Like items, which are all available on my website, CherryGal.com and in my Etsy shop. I am also open to commission requests that are color and/or theme based. 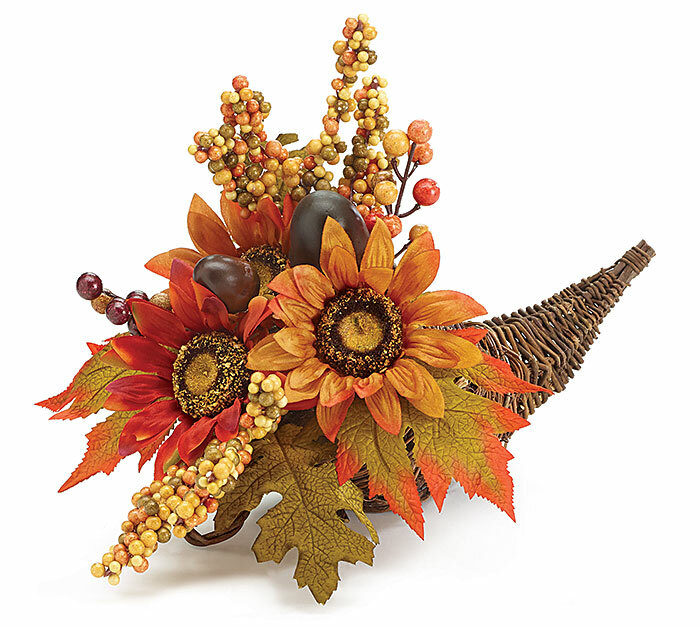 These make unique and wonderful gifts! 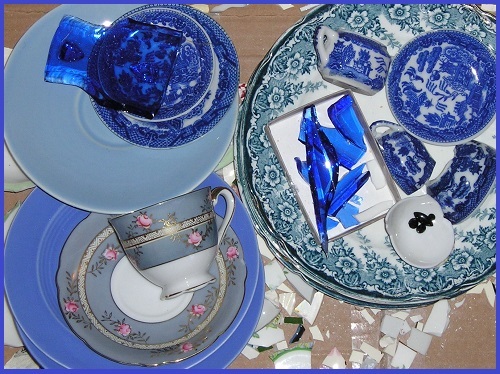 And after a few customers suggested it, I am considering creating a Fit of Pique pique assiette class event locally, where you will be able to learn the art and create a frame, all supplies included. Let me know what you think about that idea! Thank you everyone for your friendship and patronage! Looking forward to seeing everyone again at the Spring Festival in April! 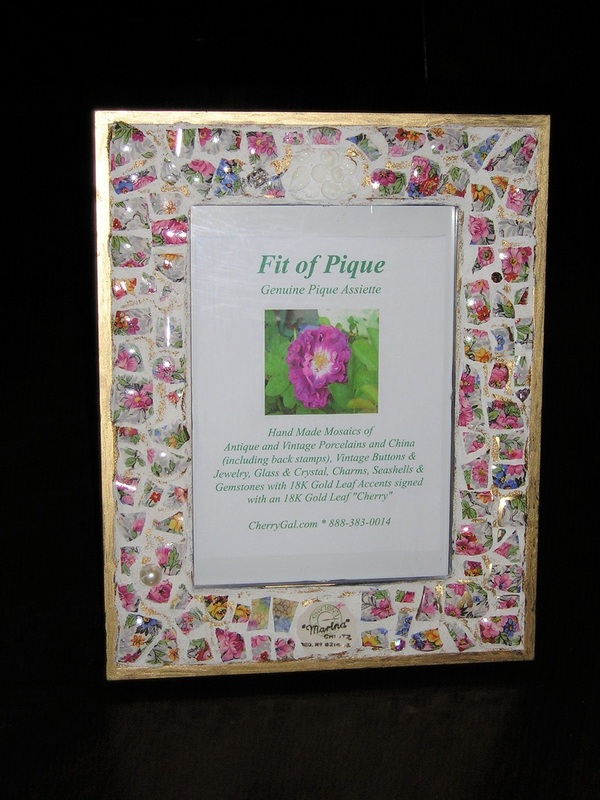 CherryGal’s Fit of Pique Mosaics Makes Its Debut! 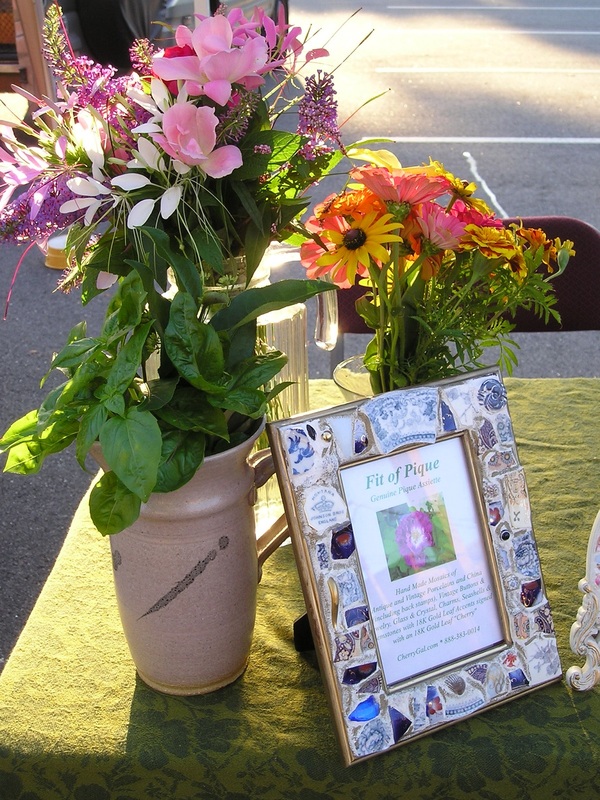 CherryGal’s Fit of Pique Mosaics premiered at the Warrenton Farmers Market last Saturday! I was so pleased with the response! I will be preparing numerous new pieces for the Harvest Festival on October 14, so I will not be returning to the Farmers Market this season. It has been great fun, made new friends, and it was very rewarding! 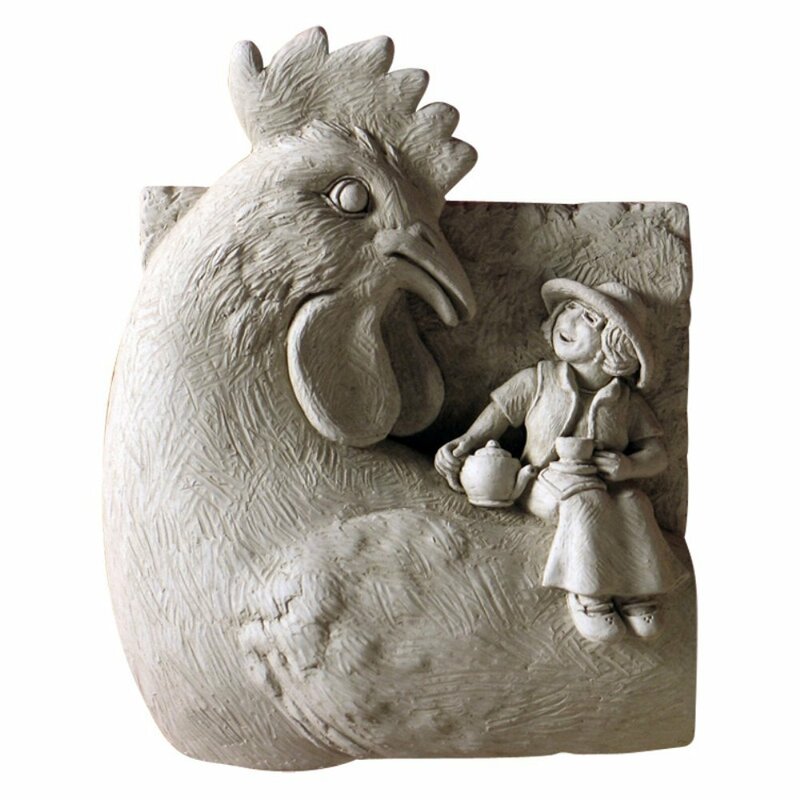 For the Harvest Festival I will have Fit Of Pique Frames, Trinket Boxes, Jewelry Boxes, Trays and Garden Pots. 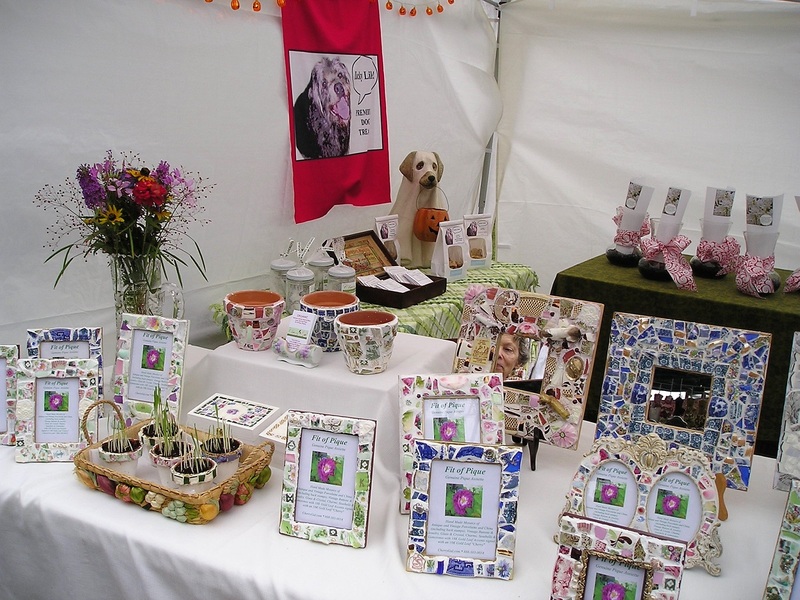 Hope you will come to Town Center Warrenton NC 10 am – 4 pm on October 14 to see CherryGal’s Fit Of Pique crafts and Lucky Like Dog Biscuits! 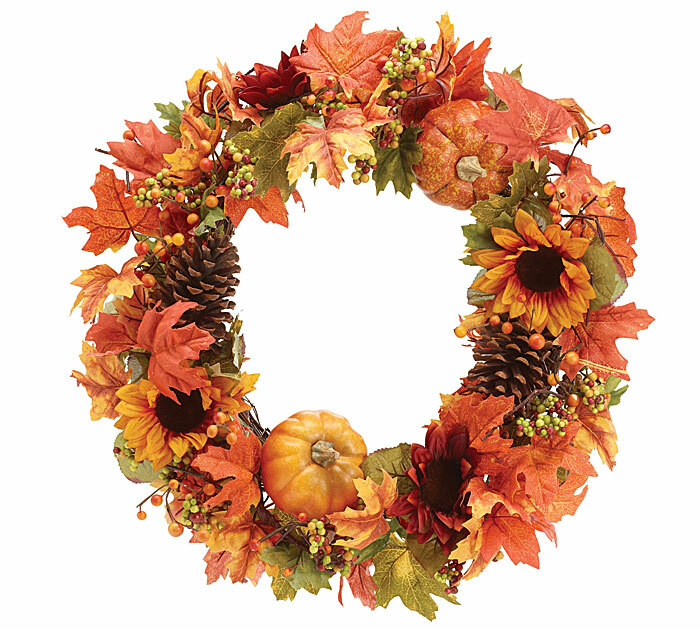 It’s the season for decorating with pumpkins, autumn leaves, pinecones, and more! 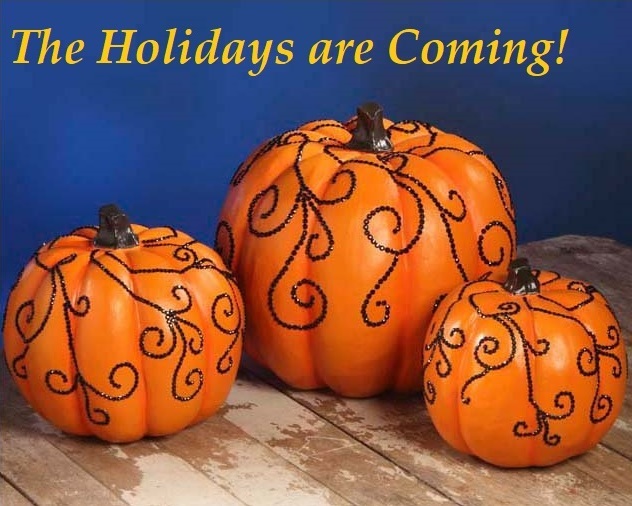 Before you know it, Halloween will be here, then Thanksgiving, then Christmas! 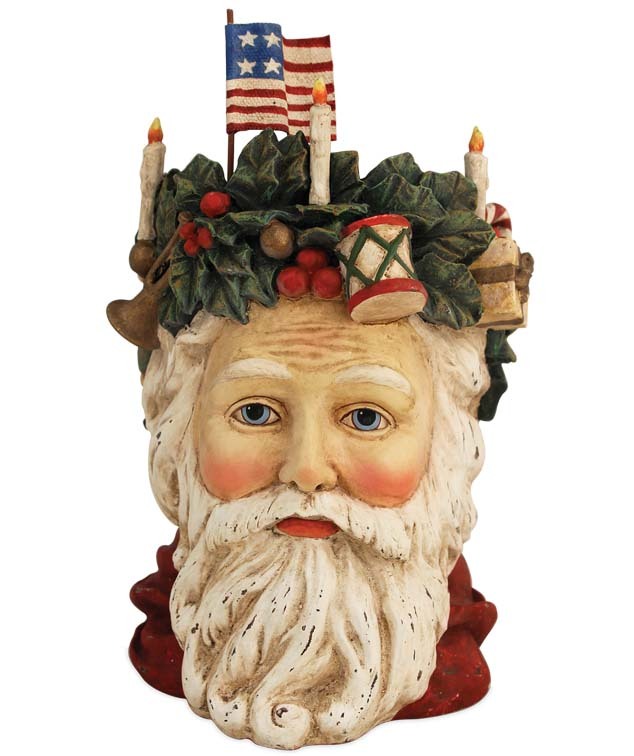 CherryGal.com is offering some beautiful holiday decoratives from Bethany Lowe, Olivia Riegel, Ragon House, April Cornell, Burton and Burton and soon … Fit of Pique! 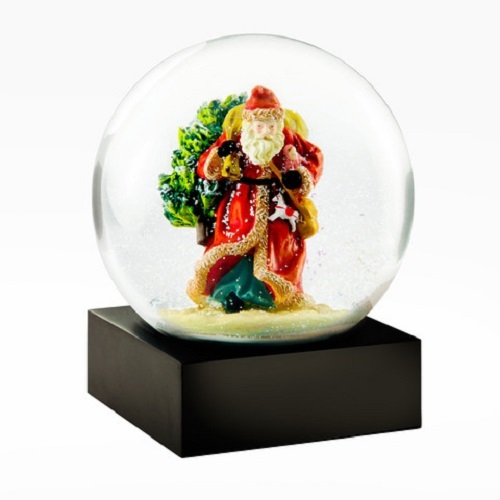 There are centerpieces, wreaths, ornaments, snow globes, frames and more! 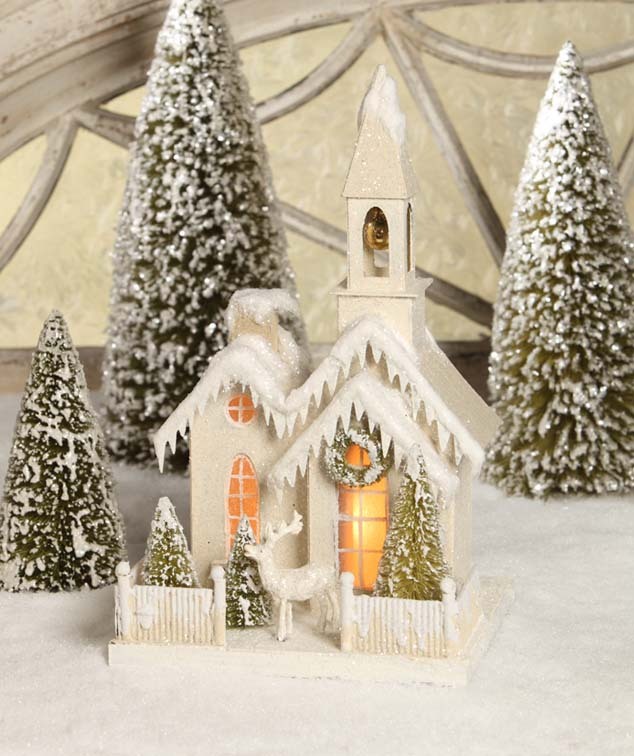 Hope you can take a moment to visit and buy!